Stairway partners with Plan International Philippines on CyberSafety In an effort to address the issue of Online Sexual Abuse and Exploitation of Children (OSAEC), Stairway and Plan Intl Philippines have embarked on a partnership that aims to build the capacities of child protection advocates (adults, youth and teachers) in order for them to conduct community-based advocacy on OSAEC. Under the partnership, Stairway provides technical assistance through the conduct of training and the use of Stairway’s advocacy materials Stairway, Zone One Tondo (ZOTO) and the British Embassy embarks on OSAEC partnership Seeing the need to address the issue of Online Sexual Abuse and Exploitation of Children (OSAEC), Zone One Tondo (ZOTO), an active peoples organization, and the British Embassy, have collaborated with Stairway Foundation. Under the partnership, members of ZOTO trained on CyberSafety, learning how to deliver the CyberSafe advocacy materials developed by Stairway. After the training, ZOTO committed to roll out the advocacy to members of their organization and its chapters across different urban poor communities. We hope that ZOTO will become a member of the Break the Silence network soon. Child Sexual Abuse Prevention for the Deaf Community continues The Deaf community has always been an active partner of Stairway in terms of child protection. SEAD (Support and Empowered Abused Deaf Children), a Break the Silence Partner, together with Stairway, conducted a basic CSAP training for staff and partner schools of Talking Hands, an NGO working with the Deaf community in Quezon City. The said training capacitated the teachers in terms of understanding how child sexual abuse happens and presented the different strategies on how to teach Deaf children child sexual abuse prevention through SEADC’s Big book, small book, a child sexual abuse advocacy and teaching material for the Deaf community developed by SEADC with support from Stairway. Stairway and the Break the Silence network support the elaboration of a child-safeguarding standard for the Philippine Free Public Wifi Act Recently signed into law, RA10929 or the Free Internet Access in Public Spaces Act mandates the government to roll out free internet services to the public via a free wifi in public spaces. The implications of such a law can increase children’s access to the Internet and increase their risk to online abuses. 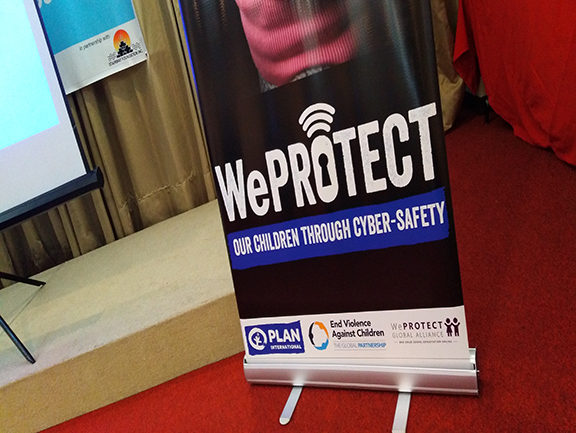 Stairway Foundation and the Break the Silence network in partnership with the Department of Information and Communications Technology (DICT) have conducted a consultation session on possible child safeguarding provisions for the free public wifi act.